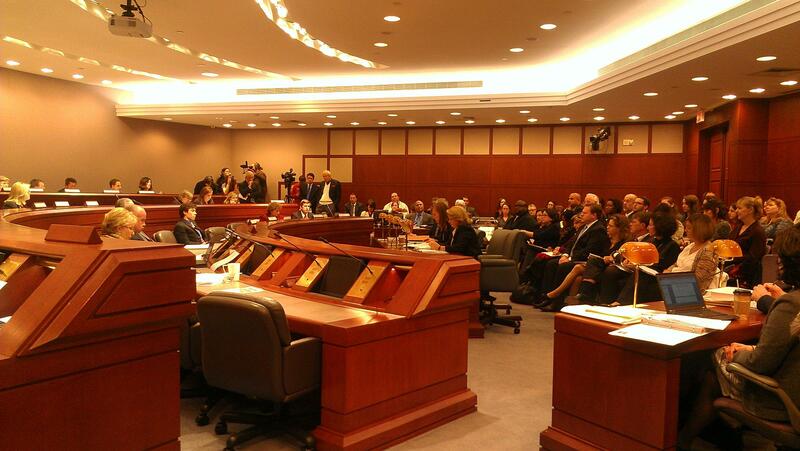 Legislators heard testimony from four UConn women on Wednesday about sexual violence on college campuses. Kylie Angell was one of the students who testified. She said, "When you go to the police to report a crime, you should not be expected to have to report the police to the police for not taking your claim seriously." The students said UConn President Susan Herbst was dismissive in her response to their complaints. Herbst was not at the hearing, but she spoke before the school's board of trustees earlier in the day. "My comments were misunderstood," Herbst said. "Giving the impression that I was commenting directly on the individual students or their cases or the specific claims that have been made. I was not." Gloria Allred is representing the students who filed the suit. She said the university needs to go further. "This has got to end," Allred said. "There has to be safety on campus. There has to be support for survivors. UConn, instead of being defensive, needs to say, 'We want to make change. Let's see how we can work to have more protection for our students and for the survivors, and enforce their rights." Lawmakers said one of their priorities will be to review how sexual assault complaints are handled internally by campus police at UConn and at schools across the state.